I really love this score. "Aloy's Theme" is just gorgeous. Mainly the Joris the Man tracks are great on this album. 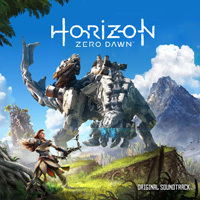 My favorites are: "Aloy’s Theme," "Years of Training," "The Good News," "City of the Mesa" and "Song To The Sun - Dawning".